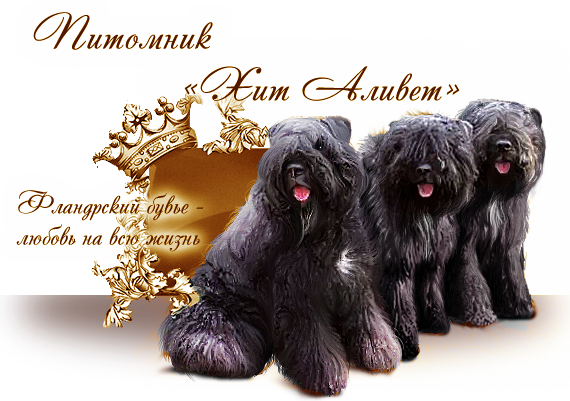 Hello, I'm Yvette Andrianova - nurseryman Bouvier des Flanders "Hit Alivet, vice-president of the National Breed Club - is pleased to welcome you at your site. If you want to learn more about the breed, I will be very pleased to open for you their little planet in this vast internet world - planet Bouvier. Our kennel "Hit Alivet" engaged in breeding and selling puppies this wonderful breed. For someone who wants to have a fearless, strong and reliable guard dog, Bouvier des Flandres - a godsend.